Venezuela’s President Hugo Chavez says he will return to Cuba on Sunday for more cancer surgery. Hugo Chavez, 58, only returned on Friday from his last course of treatment there. In a TV address Hugo Chavez said it was “absolutely essential” that he received further treatment, adding that more malignant cells had been found. The Venezuelan leader has had three cancer operations in Cuba since mid-2011, but few details have been released. Speaking from the Miraflores presidential palace, Hugo Chavez said that if his health failed and a new election had to be held, his supporters should vote for Vice-President Nicolas Maduro. Correspondents say it is the first time the president has named a successor. “Unfortunately, during these exhaustive exams they found some malignant cells in the same area. It is absolutely necessary, absolutely essential, that I have to undergo a new surgical intervention,” Hugo Chavez said. During his latest visit to Cuba, Hugo Chavez was said to be receiving “hyperbaric oxygenation” therapy, which can ease ailments caused by radiation treatment. 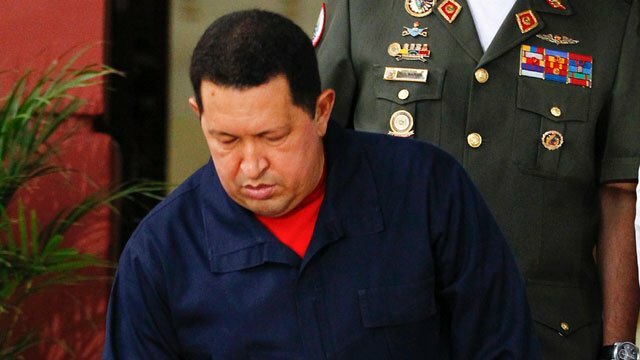 Hugo Chavez has spent many months receiving surgery and treatment in Cuba since his diagnosis in July 2011. In May, he declared himself free of cancer. However, the president has never given much detail about the type of cancer he suffered from, and chose to be treated in Cuba rather than Venezuela, which has led the opposition to call for greater transparency. Hugo Chavez’s recent visit to Cuba follows his re-election in October for a third term in office.